The world of top level poker can seem confusing and closed off to us mere mortals who just play the game for fun. However there are some times when we get the opportunity to glimpse into the lives and skills of the top players. The World Series of Poker is our chance to watch the best of the best take each other on and show what separates the amateurs from the pros. It is a chance for glamours players to go to glamours locations and play the game they love. It is always fun to watch them play and to get an insight into what makes a top poker player so good at a game that can often seem to be based on luck. 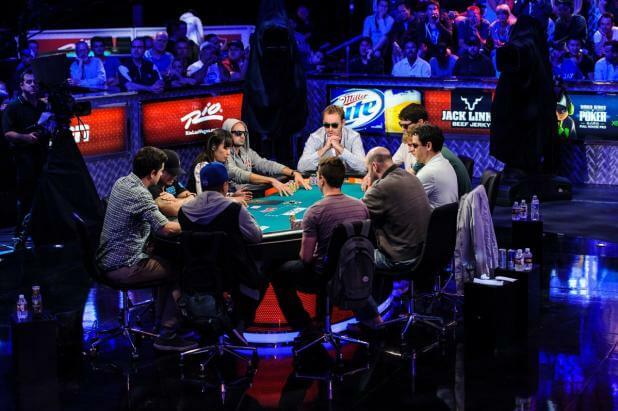 The World Series of Poker has been incredibly successful and 2018’s version will be the 49th incarnation of the biggest tournament in all of poker. It is a very long tournament running from the end of May until July. While the top footballers lock horns in Russia, the top poker players will be taking each other on on the floor of the Rio Grande casino in Las Vegas. There will be a whole host of different types of games, people playing and competitions. It is not just the world best but other more part time players who get their chance, albeit in a smaller set of events with prize pools that are more fun than they are life changing. There are tournaments with buy ins as low as $365 which will attract the lower calibre players who just want to feel as if they are part of the whole event. The biggest competitions, where the best of the best will be plying their trade will begin on July 2nd with the $10,000 no-limit hold em main event which is seen as the jewel in the crown of the World Series of Poker. If though you feel like you might want to try your skills in one of the smaller events makes sure to practice and if you want to take a break but keep your gambling skills sharp then check out this all slots casino which has a great range of games. Just don’t expect to get good enough to hit one of the high rollers tables. Last years big winner was Scott Blumstein who had to fight his way through a field that was almost 800 strong to take home the no-limit event crown and a quite staggering $8 million prize. Winning this prize made him the de facto World Champion which is a very special title to have along with such a big prize pot. There is also an event called the one million dollar big one for one drop with top players competing for the prize. They will pay a buy in of just over $100,000 which will go to the One Drop foundation which aims to help get water to developing communities. It is going to be a special tournament for sure.